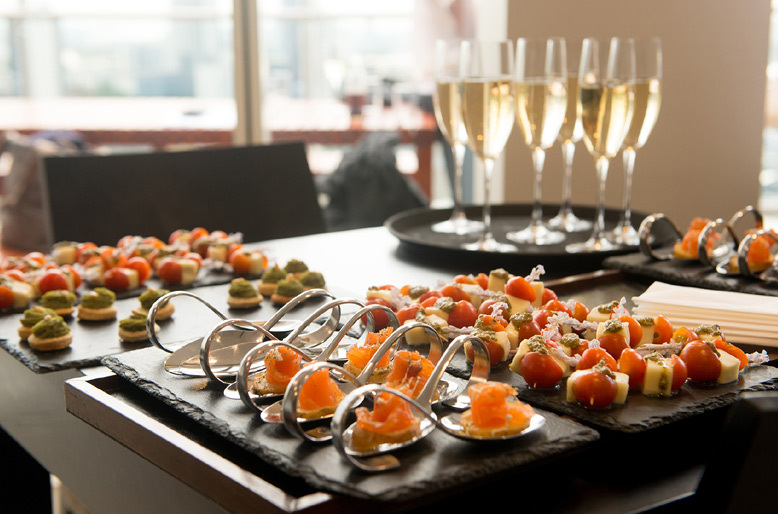 MC3 Promotions | Blog "Menus at Events"
Your event has a couple of key components that really enhance or diminish the overall effect, and one of those is food and beverage (hereafter refered to as F&B). The following runs over some of the components that you need to be aware of when thinking of the menu at your upcoming Event. Things that are not so directly connected to food as you might think are also given a brief once-over. These are things like ambience (the environment in which you consume it) and the music you might use to heighten the atmosphere in which it's consumed. Per Person Price covering. It involves: Cost of food, beverage and other supplies, Cost of payroll to handle function, overheads for Room/s, and the final Profit. Large caterers typically use the Contribution Margin methodology. Costs are based on all expenses across the year. Variable and Fixed costs are calculated in, and Profit Margin is then added to the pricing (which can be up to 75%). This is a version of the Contribution Margin method: Caterers calculate the variable costs on one meal to price rest of items, and Caterers then multiply by a factor basis (typically 3-7 depending). This technique allows for comparison shopping. Charts with variables may be used. For example, it might be that. This technique allows for comparison shopping. Charts with variables may be used. For example, it might be "Chicken Per Person" on the menu, with separate pricing depending on choice. So guests might have one for $24.00, a second higher class offering for $32.00 and a "value" offering for $22.00. Impact pricing can be seen more readily using this method. It might be that for a certain number of guests 100-250 you're offered a certain price, 250-500 you're offered another price, and 501+ you're offered another. Again, this may or may not work out for your own event. 6 Things to keep in mind! 5. ...and other visual elements that enhance and highlight food presentation. Music to enhance the atmosphere: eg. a "New Orleans"-style of Event with Cajun food on the menu would obviously be further enhanced with New Orleans Jazz music. And we're sure you've been to a "Greek Night" where there was the sound of smashing plates! There's more to food than just the above points. But the key is - go out on a limb, attend different events, get to know the different environments in which food is served, and work out what kind of feelings this gives you. Does it enhance or take away from the enjoyment? For many cultures, and certainly if you're putting on particular cultural events, it's important to get the external details right - it all contributes to "the experience"... Bon Apetit!